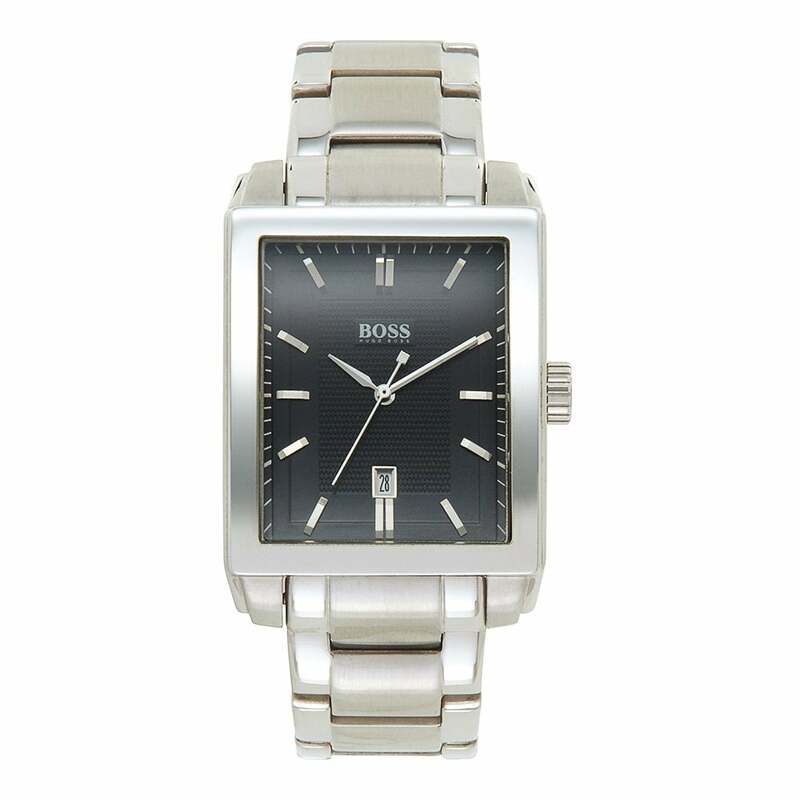 This Hugo Boss 1512773 Stainless Steel Rectangular Face Men's Watch comes with a 34mm case. Fitted with a stainless steel strap and has a date display. Along with the black face, this watch has a quartz movement and comes with a 2 years Tic Watches warranty. Hugo Boss watches offer exceptional quality across a variety of analogue and chronograph display watches. With a variety of leather, stainless steel or silicone watches available, Hugo Boss watches are suited to everyone’s individual taste. Hugo Boss watches offer designer appeal to many men and women, and their range of designer watches certainly do not fail to impress. Why Choose Tic Watches To Buy Hugo Boss? Tic Watches is an official online and in store retailer of Hugo Boss Orange watches, so you can buy in confidence. (If you purchase a Hugo Boss Black watch, that comes with a 2 year Tic Watches warranty).